When you are in an area where rainy conditions and high humidity are frequently present, then you most probably noticed mold on your roof. Apart from the condition mentioned, a mold is also a result of algae growth or other botanical growth like moss and lichens, not to mention your roof’s age. Seeing that, you should incorporate mold removal in your roof and gutter cleaning schedule. If you start noticing dark staining, tarnishing or even discoloration on your roof shingles, it is most like caused by fungus spores and mildew lodged into your roof shingles. This may come from nearby plants and shrubbery. With the moist condition perfectly provided by your roofing system, mold will definitely thrive on your roofs, making it unsightly and dangerous for your family’s health and wellness. Any roofing material is prone to deterioration or damages, but the thing is you can stop it or even prolong your roof’s usable lifespan by simply performing some necessary cleaning and maintenance procedures. To somehow help you remove molds from your roof, here are some of the tips coming from experts. One of the most common methods to remove mold is through chlorine bleaching. The use of such cleaning agent has been tested and proven over time, even roof manufacturers have advised the use of chlorine bleach for their roofing products. The normal formula for achieving a reliable mold removal solution is one-part bleach with three-parts water, and you may also add up a pinch of Tri-Sodium Phosphate (TSP) for additional strength. Since bleach can be damaging to nearby plants and even to your health, you should prepare the necessary equipment and protective materials when applying the solution. Make sure that you will not spray the solution into plants or nearby trees. After you have sprayed the affected area of the bleach solution, you should not scrub your roof shingles, for it will just remove granule coating of your shingles. Simply let the sprayed solution dry for a while then rinse it with your garden hose. Avoid using power washing for it will also loosen the granules similar to scrubbing. When you are done rinsing, allow it to dry and check the affected area for improvements, for if there is none, you might have to repeat the process. If bleach will not work, you may try using sodium hydroxide solution. This has been proven to be more powerful cleaning agent than the chlorine bleach solution. However, you should be very careful and accurate in using this solution, for it has been observed that too much amount of the solution leads to roofing damages. The previously mentioned tips for removing mold are indeed tested and proven methods. However, the application of it may require expertise and proper tools. That is why, if you want to see things done perfectly, you should call expert roofing contractors to do the task for you. They will not only provide accurate and efficient service, but they will also make your life easier. 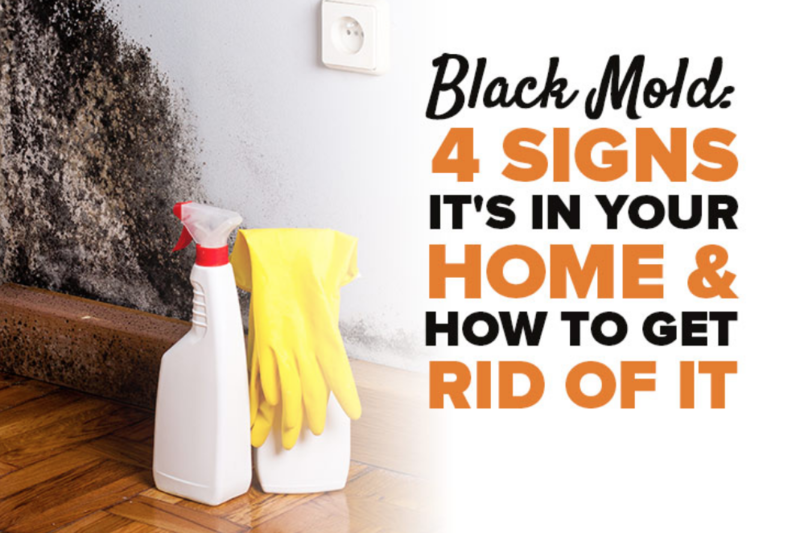 If you believe you have Black Mold, we urge you to call a contractor immediately. If you are in Charlotte, NC then you can call Carolina Storm Roofing to deal with your mold problem. Similarly, if you are in Iredell County, NC, you can call Carolina Storm Roofing of Mooresville for help. It is vital that you get it seen about as quickly as possible, because if left untreated it could become harmful not only to your house, but detrimental to your health as well. Contact Us Today!